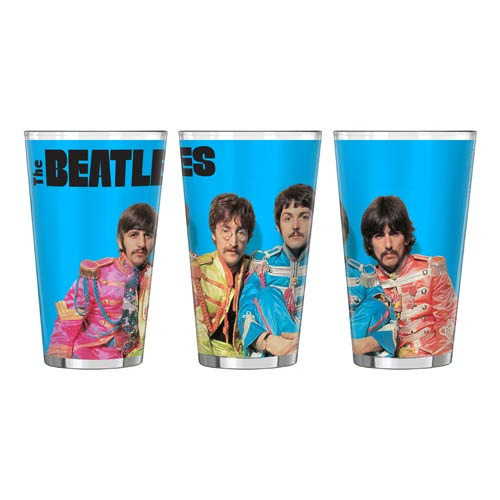 A unique collectible sure to stand out in your kitchen cabinet, it's the Beatles Sgt. Pepper's Lonely Hearts Club Band 16 oz. Sublimated Pint Glass! The art stretches all around the pint glass and features a photo pulled from the promotional campaign for the album Sgt. Pepper's Lonely Hearts Club Band. The pint glass holds up to 16 ounces of the beverage of your choice. Hand wash only. Not dishwasher safe.